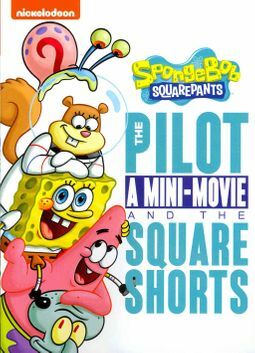 Dive into a comedy adventure that's bigger, better and more absorbing than the rest - the movie debut of that undersea sensation, SpongeBob SquarePants! There's trouble bubbling up in Bikini Bottom, King Neptune's crown is missing, and Mr. Krabs has been accused of stealing it! 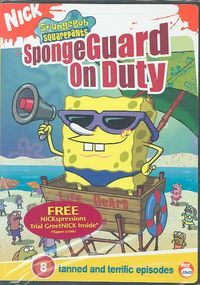 Together with his best pal Patrick, SpongeBob sets out to treacherous Shell City to reclaim Neptune's crown and save Mr. Krabs, in a spectacular adventure. 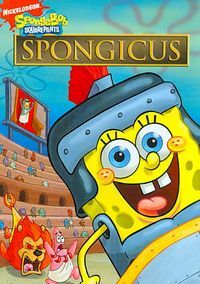 Featuring the voice talents of Tom Kenny (SpongeBob), Alec Baldwin, Jeffrey Tambor, Scarlett Johansson and a special appearance by David Hasselhoff, The SpongeBob SquarePants Movie is an uproariously funny comedy.